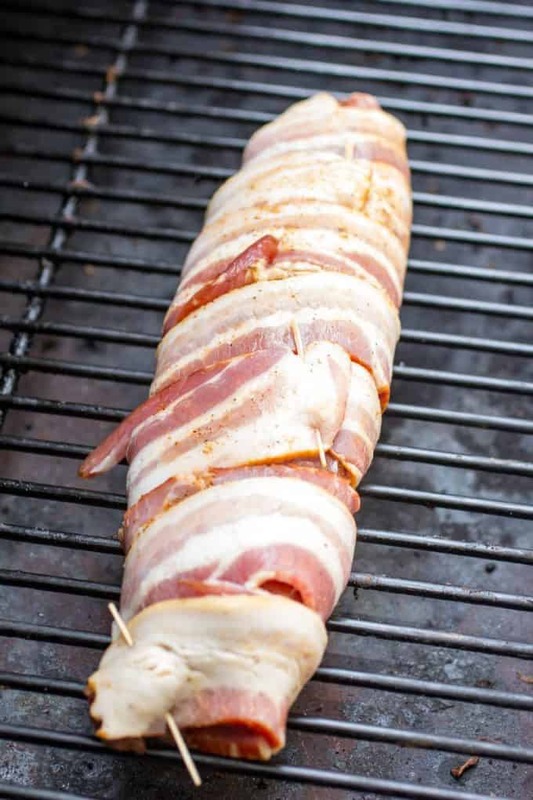 This bacon-wrapped pork tenderloin is the perfect meal to grill up this weekend. Perfectly chewy bacon on the outside and tender and juicy pork on the inside. A simple meal that offers a stellar presentation. 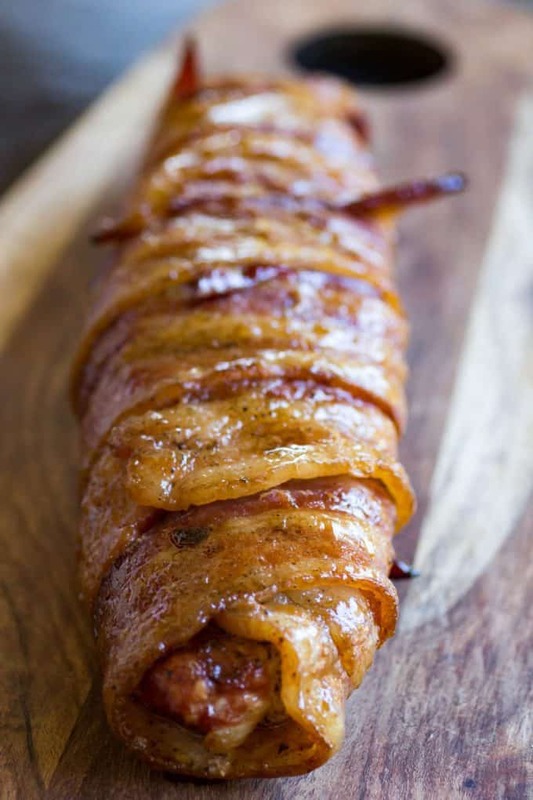 Anything wrapped in bacon gives you that wow factor for friends and guest. This is a company-approved double meat main dish that is full of flavor. You guys know I love bacon-wrapped things. These Bacon-Wrapped Sausage Bites are one of my favorite apps! Our Traeger has been getting a workout this summer. If there is one thing our family loves, it is a meal that is grilled up on the Traeger. 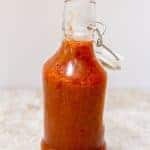 It offers such a unique element of flavor, and who doesn’t love BBQ in the summer? 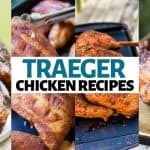 More Traeger Recipes here! My entire collection! 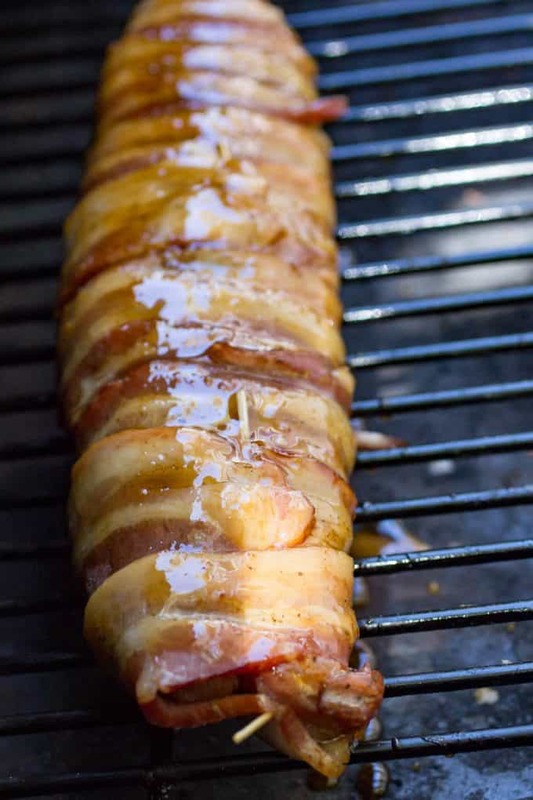 This bacon wrapped pork tenderloin is absolutely crave and rave-worthy in my eyes. We love stepping out of the box and changing up our meals, and I love the double-meat take. The kids devoured it within seconds, so I knew it was a recipe that we needed to repeat in the future. 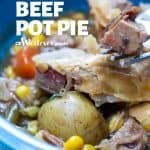 The beauty of this protein dish is it is so versatile with sides. 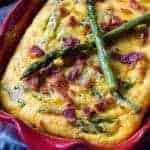 You could serve it with grilled asparagus or even scalloped potatoes and a veggie. The choice is yours, this pork tenderloin goes well with pretty much anything. Rice, vegetables, side salad, pasta salad, grilled sides, the sky is the limit here! 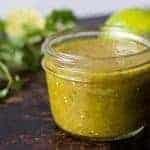 Season liberally with Traeger Pork Rub or my homemade BBQ rub! The first thing and the most important one is that you want to start with a quality pork tenderloin. Meat is one area where you get what you pay for. Make sure your tenderloin is quality, as you will taste the difference. Next, is that you want to ensure before grilling that your tenderloin is set out for about 30 minutes before grilling so it can come to room temperature. This allows for more even cooking, so it doesn’t take so long for the middle of your roast to get to the required minimum temp. Aim for a thinner bacon, this is one time you don’t want to use a really thick cut of bacon. 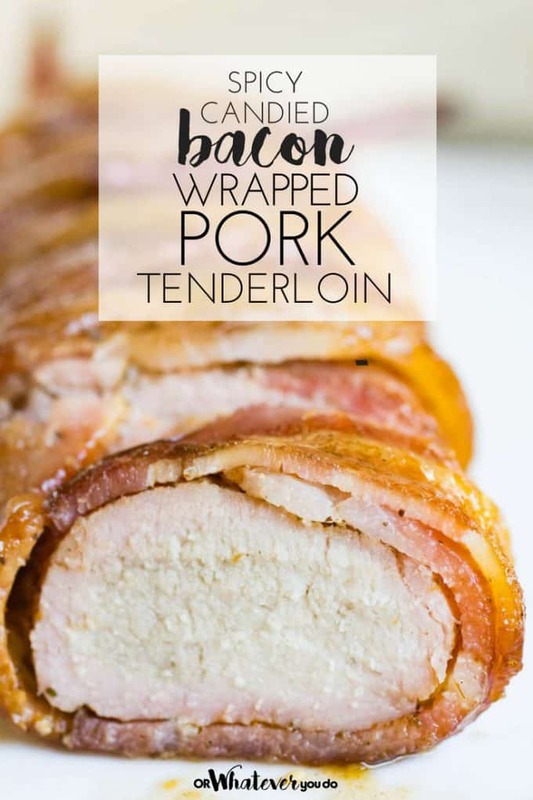 The thinner style bacon will wrap easier and allow it to cook through and get a little bit of that crunch factor instead of being under-cooked and chewy. Also, if you prefer your bacon extra crispy, you can always pull the tenderloin off the grill and put on a baking sheet and put in the oven. Broil it for a few minutes watching it close until the bacon cooks up to your liking. You just have to watch that you don’t over-cook the tenderloin in the process. I always recommend taking your tenderloin once fully cooked and place on platter and cover with tinfoil for 10-15 minutes. This resting period will help keep your tenderloin moist if you go right in and cut you will lose that moistness and end up with a really dry tenderloin. 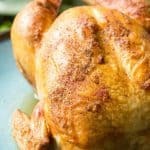 Once the time is up, remove aluminum foil and slice and serve up to guests or family. 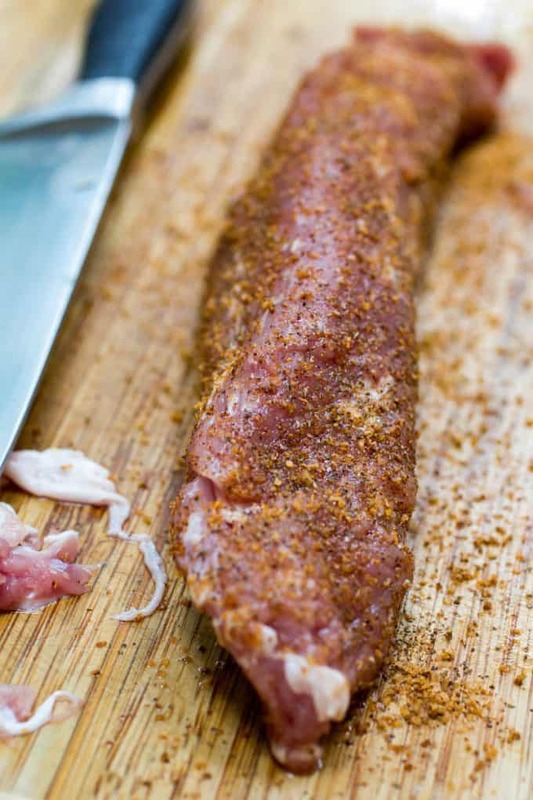 Toothpicks are your secret weapon when it comes to wrapping the bacon on the pork tenderloin. As you wrap every now and again secure a toothpick into the bacon. This will help keep the bacon in place as it cooks. Once your tenderloin is cooked and done with resting, pull out the toothpicks and discard. No one will know you even used them, it still allows for a beautiful presentation. 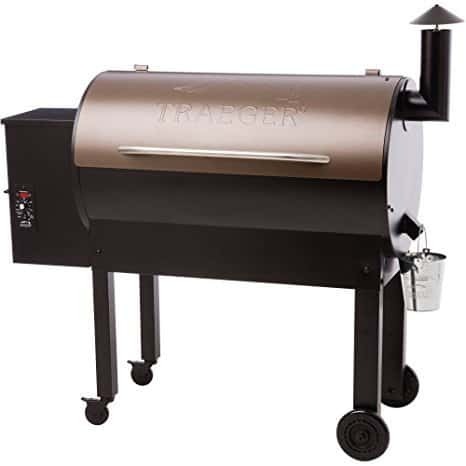 You can totally grill this on whatever type of grill you happen to have around, but for pork and chicken especially the Traeger is amazing. It keeps these lean cuts of meat moist and delicious. Here is a little food trivia for you! Did you know that pork is a little bit leaner than even a chicken breast? It really is, and that is why you hear so often baste your pork or it will over-cook and dry out fast. 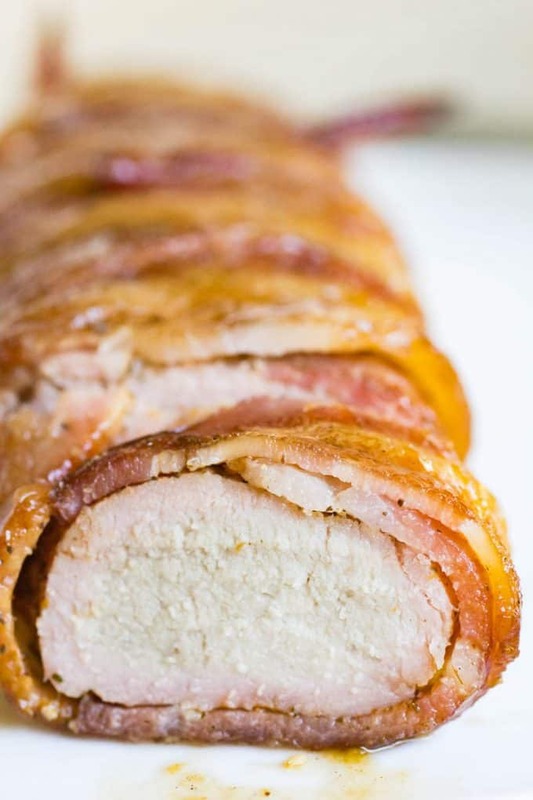 The beauty of this recipe is the bacon is wrapped all over the pork. 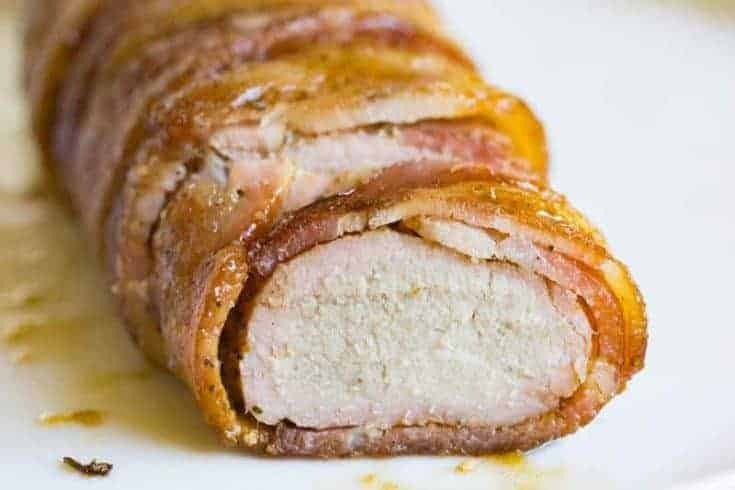 So when the pork and bacon cook from the heat, the juices drip off the bacon and help keep that pork tenderloin moist during the cooking process. That is part of the reason why this recipe is so good. 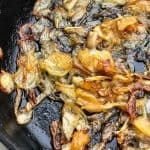 Not only does the bacon add a new element of texture but it adds loads of flavor to the meat, and keeps it moist. 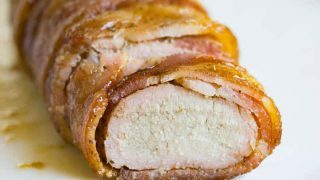 This bacon-wrapped pork tenderloin is one of those recipes that LOOKS really fancy but is actually a snap to throw together. Turn your grill to smoke and open the lid. Wait 4-5 minutes for fire to be established. Once it is fired up, turn the heat up to 400 and close the lid. Remove any silver skin from the tenderloin, and then liberally coat with the bbq rub. 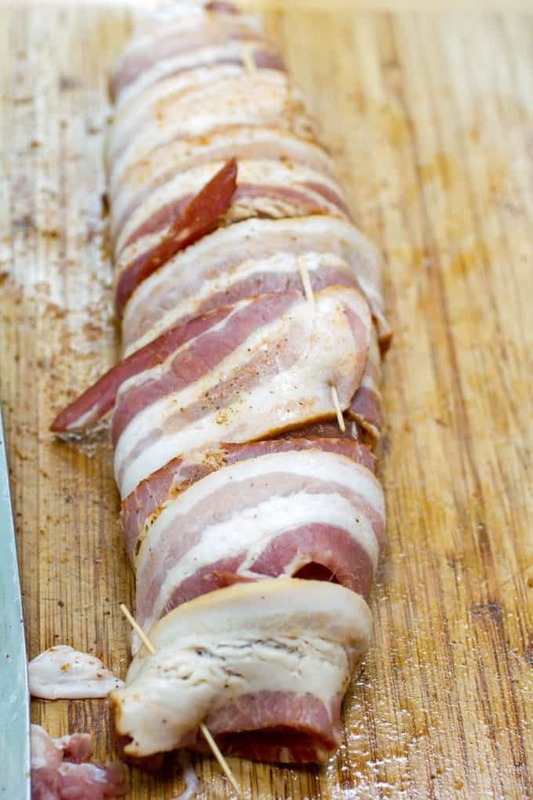 Wrap the bacon around the tenderloin, securing the ends with toothpicks. Continue until the entire tenderloin is wrapped. 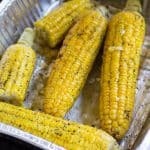 Carefully place directly on the grill grates. While the tenderloin is cooking, mix together the glaze ingredients and bring out to the grill area. After 5 minutes, paint some of the glaze onto the top and sides of the bacon and cook for another 5 minutes. Open the grill, rotate the tenderloin, paint the other side of the bacon with that spicy bacon glaze, and cook another 5 minutes. Continue the grill and turn every 5 minutes. Grill until the temperature in the middle reaches 145 degrees. Disclaimer! I've never made this on a grill other than the Traeger, but were I to try I would recommend following the instructions above, and cooking over indirect heat on your grill. Check it often to make sure it isn't over or undercooking!